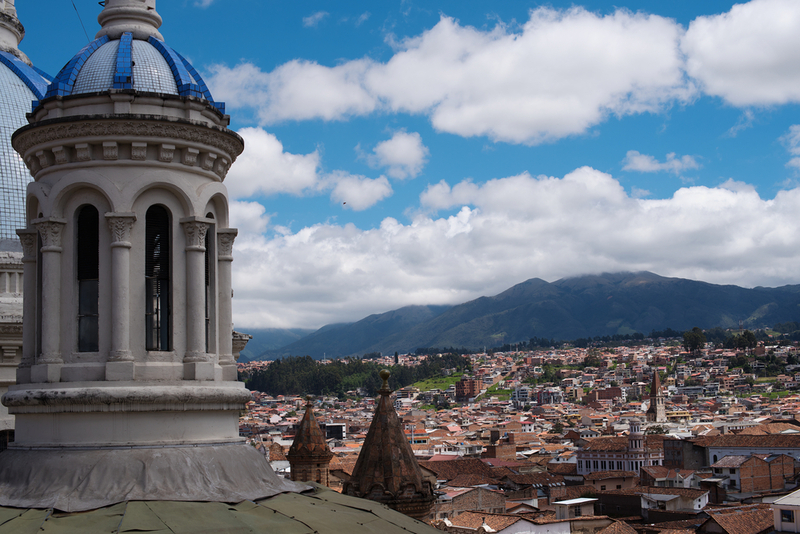 Cuenca is one of the most beautiful cities in all of South America and one of Ecuador’s most treasured highlights. With its UNESCO-listed colonial quarter, jam-packed full of stunning architectural gems dating back almost 500 years, Cuenca is that perfect embodiment of all that Latin America does best. At the heart lies a vibrant core, full of historic charm and great food, a hip clubbing scene and fantastic shopping. And all around are the incredible Andes Mountains, with all the stupendous natural treasures they possess. Impossibly picturesque alpine landscapes littered with striking volcanoes, lagoons and waterfalls. Cuenca is all that, and more. 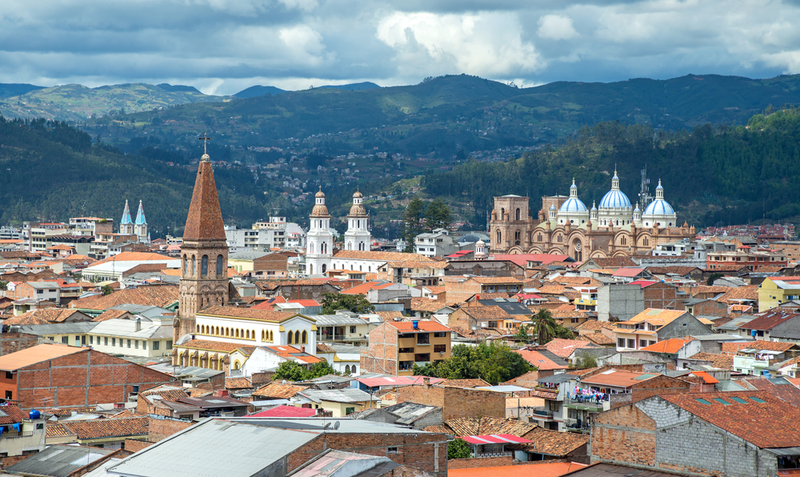 Although many first-time visitors to Ecuador consider Cuenca a mere ‘side trip they ought to visit’ we consider it an absolute must-see, bar none. If hard pressed to choose between Quito and Cuenca, in fact, our bet would be on Cuenca to deliver that extra WOW Ecuadorian experience. Luckily, however, travel between the two cities is easy, so you needn’t choose at all. Home of the famed Panama Hat, Cuenca has quite a few surprising aces up its sleeve. 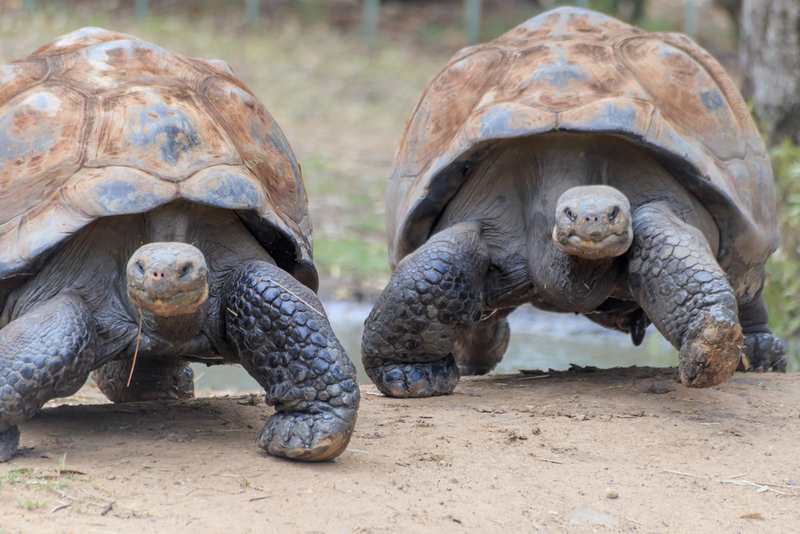 With direct flights to Quito and Guayaquil, the starting points of Galapagos cruises, Cuenca is an easy and immensely rewarding place to visit when travelling through Ecuador and a seamless inclusion to any whirlwind trip through South America. What Are Cuenca’s Top Highlights? Cuenca’s main highlight is, above any one singular place, its enticing atmosphere. The most European-like city in the whole country, Cuenca is vibrant and trendy, boasting a healthy nightlife, fantastic shopping and quite excellent food, among a flurry of fantastic sightseeing. Your first port of call should probably be the stunning UNESCO-listed colonial city centre, which is chock-full of striking 16th-century architectural treasures. Enjoy a walk through beautiful Calderon Park, feel overwhelmed at the sheer size and splendour of the Cathedral of the Immaculate (knows as the New Cathedral) and sit and people-watch at Plaza de Calderon, the epicentre of the city’s social life and the best spot from where to photograph the cathedral, undoubtedly the city’s most impressive centrepiece. Many visitors also use Cuenca as a base for exploring nearby areas, so as to take advantage of the city’s busy nightlife and exceptional gastronomic scene whilst also enjoying varied day-time excursions. 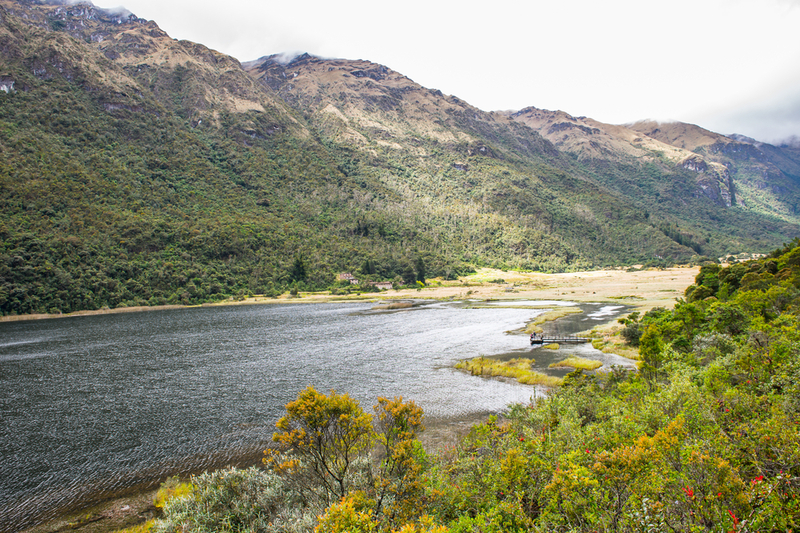 From here, you can spend a day discovering the breathtaking natural wonders of the Cajas National Park, a UNESCO-listed reserve dotted with hundreds of magnificent lagoons, lakes and waterfalls, visit the ancient Inca site of Ingapirca, and take a day-trip to nearby traditional weaving artisan villages like San Bartolome and Gualaceo. What’s the Best Way to Visit Cuenca, in Ecuador? 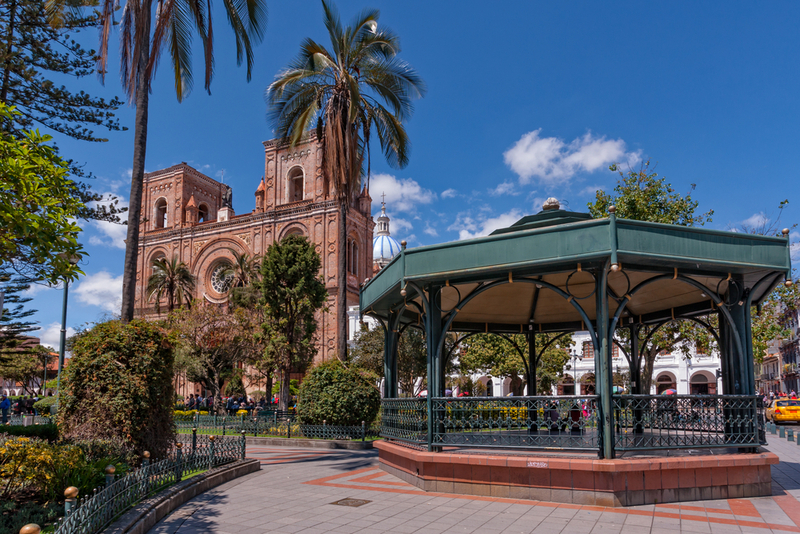 Cuenca’s strategic location in central Ecuador makes it an easy stop-over to add to any overland route of the country. From the capital, Quito, Cuenca is about 8 hours away, with the road meandering its way through the stunning landscapes of the high Andes, alongside highlights such as Cotopaxi Volcano and National Park and Riobamba in the heart of the Avenue of the Volcanoes. 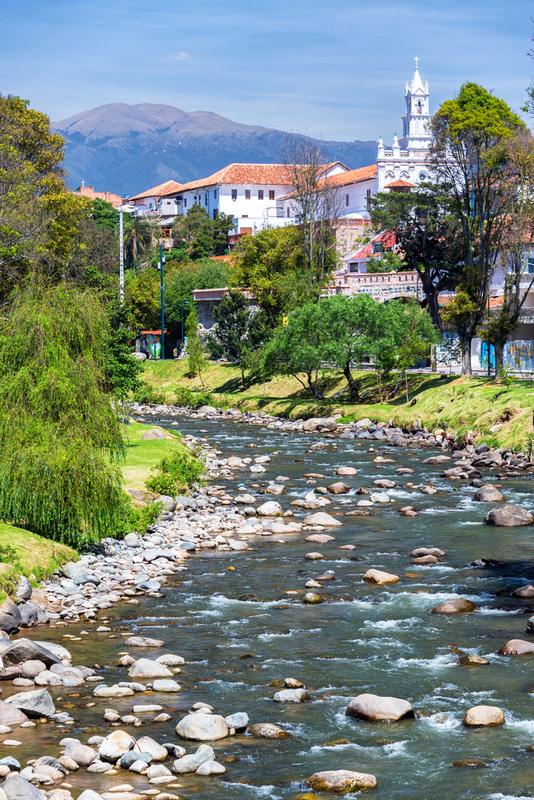 If you’re time-restricted then you’ll be happy to know Cuenca also hosts a domestic airport with daily flights connecting passengers to Quito and Guayaquil, both great springboards for cruises of the Galapagos Islands. How Long Should You Spend in Cuenca? Three nights in Cuenca should be sufficient time to explore the town and most prominent attractions nearby. The city’s colonial centre is a delight to explore on foot and could easily captivate you for a couple of days of its own accord. The fantastic architecture and framing wilderness makes this one of Ecuador’s most photogenic and liveable cities. 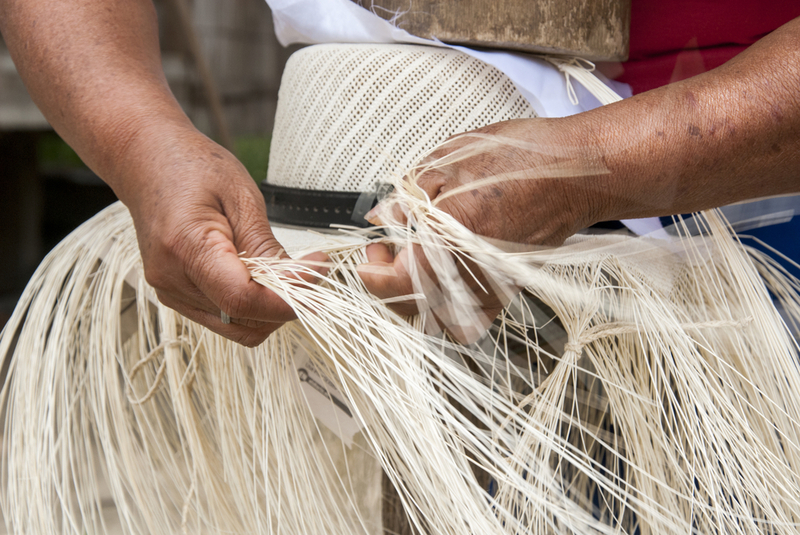 Of course, don’t forget to include a visit to a Panama hat factory whilst in town and keep in mind there are also plenty of hiking options from Cuenca, as well as great thermal baths to be enjoyed in Baños, which is about an 8-hour drive to the east. The latter is one of Ecuador’s most up and coming destinations and deserving of a couple of nights’ stay at least. What’s the Best Time of Year to Visit Cuenca? Cuenca may boast an altitude of 2,500m but it lies in a protected valley and is surrounded by high peaks, so it actually enjoys a rather moderate climate all year long. Although the Andes are renowned for being unpredictable, Cuenca’s unique location does make the weather somewhat predictable. The months between March and June is rainy season yet you can expect showers to not really start until the afternoon, leaving you with clear morning skies which are great for sightseeing. Logic would dictate that Cuenca enjoy rain-free days for the rest of the year, but the Andes Mountains ensure that sporadic rains be expected at any time of year. A popular local joke is that if you don’t like the weather in Cuenca, all you must do is simply wait an hour or two. Temperatures in Cuenca are blissfully consistent, hovering between average lows of 10 degrees C and average highs of 21 degrees C, with only mild seasonal fluctuations. Most houses don’t have heating or air conditioning, because neither is needed. High tourist season in Cuenca is between June and September, during the European summer, although you own ideal time to visit will no doubt depend on what other destinations you plan on visiting. 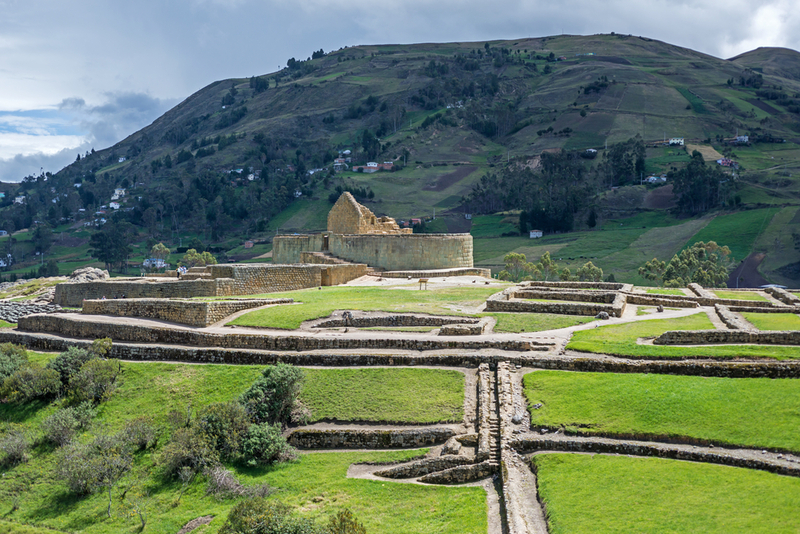 Our recommendation is to plan your holiday on other more weather-sensitive destinations you wish to include in your South America tour, as Cuenca is simply great to visit at any time of year. What to Pack When Visiting Cuenca? Much like the rest of Ecuador, exception made for seaside locations, Cuenca is quite the conservative city. Men and women alike don’t show much skin here, no doubt due to the altitude and relatively consistent cool temps. If blending in with locals is up your alley, then we recommend you pack a few pairs of dark-coloured pants, coupled with long-sleeve shirts in neutral colours and two fleeces/sweaters for when the temps drop in the evening. A lightweight, rainproof jacket is also a must when visiting Cuenca. Although Cuenca-ites were not renowned for being too avant-garde in their clothing choices, we’re seeing a lot more colour and style variations in the last few years as Ecuadorians, in general, strive to be seen as trendy go-getters. Forgot something? Don’t fret, you are very likely to find everything you need at Mall del Rio, Cuenca’s premier and largest shopping centre. Although do beware, prices at the mall are comparable to what you’d find back home (locals only shop in markets, so the mall is primarily aimed at expats and tourists) so don’t come with an empty suitcase thinking you’ll score copious bargains here, because you won’t. Practical clothing should be your paramount choice when packing, most especially in the shoe department. Footpaths can be hit-and-miss in Cuenca, so in order to avoid sprained ankles, pack only sensible and comfortable walking shoes and boots. Endless roaming of streets is, without a doubt, Cuenca’s most beautiful gift to visitors: wear comfy shoes! Oh, and if there is one thing you don’t want to forget at home, it would have to the charger (ok, all of them) and all cables, batteries and what-not associated with your electronic gizmos, including Kindle, Phone, cameras, Ipads etc. Electronic gadgets and all related accessories are priced through the roof in Cuenca, so bring all you need from home. Pack plenty of sunscreen as well, as the sun up in the Andes can be very strong and sunscreen expensive to buy locally. For travel to any region of the Andes, we recommend you bring a hat and sunglasses and be wary of UV rays, which can burn even on the most overcast of days. 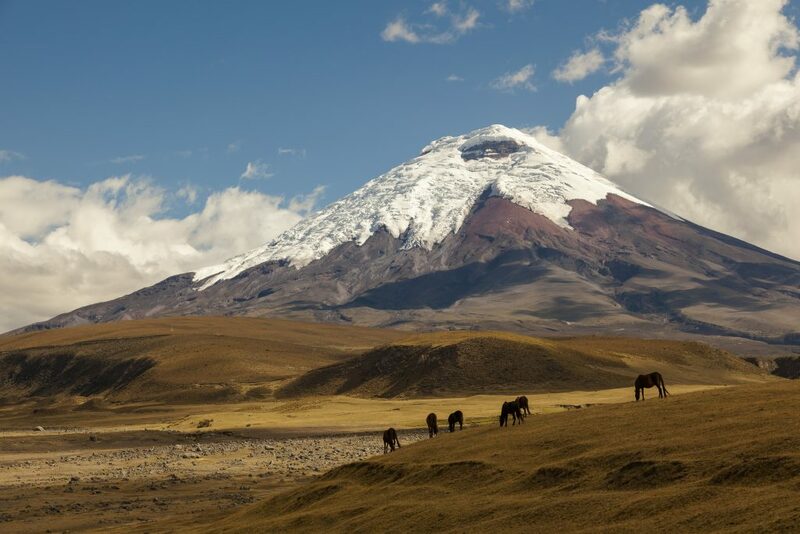 Ecuador is one of South America’s most sizzling hot spots right now, with the once-anonymous nation gaining immense popularity with adventurous travellers from all over the world. It’s certainly not surprising. This small country is incredibly enticing and offers a taste of all the most revered aspects of South America. It boasts excellent beaches, fantastic mountain destinations and exotic Amazon experiences, all the while serving up that ‘off the beaten path’ feel which is becoming increasingly difficult to find in this infinitely popular continent. So why not come and add Cuenca, and Ecuador, to your next tour in South America? It may well become your favourite decision for 2017! Contact us for a list of fantastic tour itinerary options or ask us to plan a tailor-made journey for you. Take a 10 day snapshot tour of the wonderful country of Ecuador. Starting in the lively city of Quito, then on to Mindo cloud forest & beyond!